Visit the Holyoke High School webpage for more information. The Holyoke Public Schools is transforming the high school experience to ensure that every student has a high-quality educational option, with a focus on college and careers for all students. We have developed an innovative High School Redesign Plan (pdf. )| (En Espanol) that includes strategies for improving the instruction and services offered, and providing students with the skills and tools they need to be successful in school now, and later in college and their careers. The high school redesign structure empowers students as self-directed learners ready for 21st-century workplace and college rigor. The plan, developed by nearly 100 educators, students, community members and national experts, including support from the Barr Foundation, is organized around an academy structure designed to provide “personalized learning pathways” for all students. 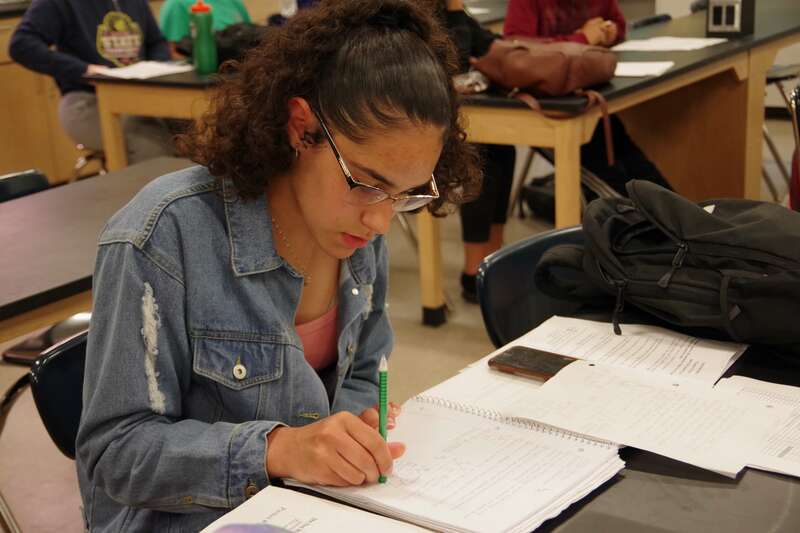 Students at Holyoke High School receive an in-depth, well-rounded MassCore aligned high school education that prepares them for college, career, and community leadership. In addition, our redesign plan provides students with exposure to a wide array of college and career opportunities in the area of their emerging interests and community-based learning opportunities. Internships, job shadows, and experiences in the field offer valuable opportunities for our students to learn about potential career pathways and explore their interests while receiving the essential foundations for academic success. Learn about our theme-based academies! Effective Fall 2018, Holyoke High sophomores were the first class to participate in Holyoke’s redesigned high school experience featuring four theme-based linked-learning academies (Community and Global Studies; Technology, Engineering and Design; Performing and Media Arts; Medical and Life Sciences) designed to prepare them to acquire 21st-century skills such as thinking, problem-solving, creativity and collaboration. The district’s graduation rate is 69.9%, up 7.8 percentage points from the prior year. The district’s average dropout rate for the past 10 years has been nearly 10%. Over the last two years, the dropout rate has been almost cut in half, averaging 5.6%. This reduction means over 100 fewer students per year have dropped out of school. Read press release.